Frozen puff pastry to the rescue for a quickly assembled dessert that can be adapted as various seasonal fruit harvests arrive at the market. Preheat the oven to 400 degrees. Coat a nonstick baking sheet with cooking spray. Place the berries in a bowl. Stir in the cornstarch, lemon zest and sugar substitute, making sure that all berries are well coated. On a lightly floured board, roll the puff pastry into a 12 x 14-inch rectangle. Place on the prepared baking sheet. Mound the berries on the pastry, leaving a 1 ½-inch border. Fold in the four corners. Using wet fingers, bring up the border of the dough over the edge of the berries, pleating as you go to form a rustic free-form oval or rectangle. Sprinkle the berries with lemon juice. 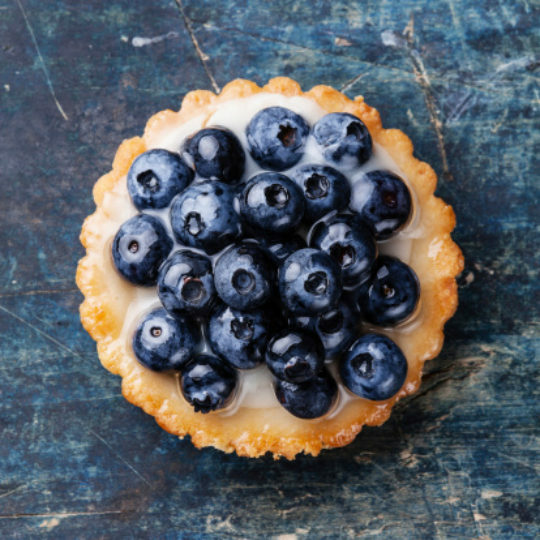 Generously coat the top of the tart with cooking spray and bake 40 to 45 minutes, until the berries are cooked and the pastry is golden. Serve warm or at room temperature with a dollop of light whipped topping, if desired. Substitute 3 large, peeled, thinly sliced Granny Smith apples for the berries. Add 1/4 cup dried currants that have been softened in 2 tablespoons dry sherry. Reduce the sugar substitute to 2 tablespoons. Add 1/2 teaspoon ground cinnamon. Bake according to the master recipe. This heart-healthy recipe and more than 150 others are available from the nation's #1 heart center in the "Cleveland Clinic Healthy Heart Lifestyle Guide and Cookbook" (© 2007 Broadway Books). The cookbook is available in bookstores or online from Randomhouse.com, BN.com or Amazon.com.